To receive SNMP traps when an alarm is triggered, you must set SNMP notification as a response action for every alarm manually. Double click the necessary alarm in the list. Select the alarm in the list and click Edit in the Actions pane on the right. In the Alarm settings window, open the Actions tab. On the Actions tab, click Add. 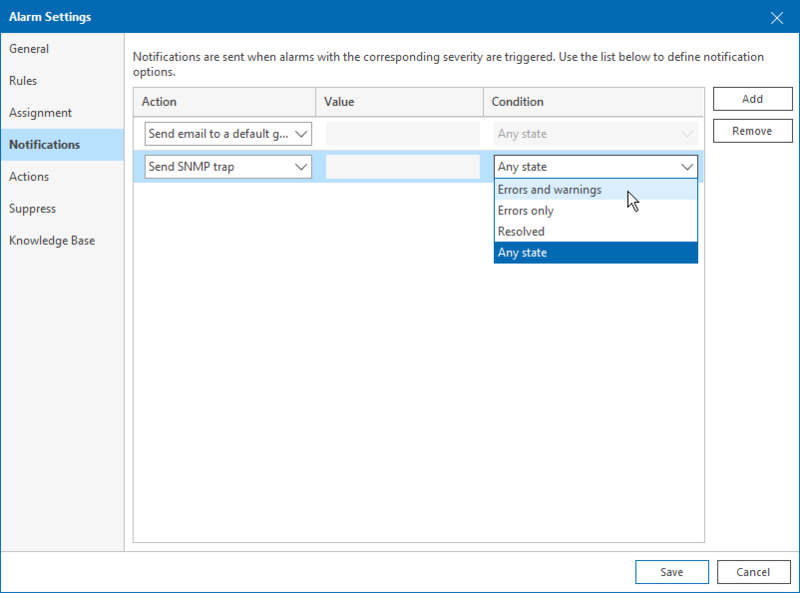 From the new Action list, select Send SNMP trap. In the Condition field, specify at which state Veeam ONE must send trap messages.